African folktales, like Anansi and Turtle, help kids learn about other parts of the world. In Nigeria folktales are very popular and perhaps the most popular are tales about Anansi. Anasi is a west African god who often takes the form of a spider. He is the son of the sky god, Nayame, and the earth goddess, Asase Ya. One of our favorite tales is called Anansi and Turtle. It’s a moral tale somewhat like Aesop’s Fables. Anansi is a west African god that can take the form of a spider. Sometimes he is also in human form. In many stories he is the creator of the sun, moon, and stars, while his mother is the Earth and his father is the creator of the universe. Photo by James Petts, CC license, Wikimedia. First, we looked up Africa and Nigeria on our globe. We talked about what the landscape in Nigeria is like and what kinds of plants and animals can be found there. That gives us a setting for the tale and in turn the story makes the country of Nigeria stick in our minds. The Anansi tales are not only from Nigeria, they are told all over west Africa, so if you like you can focus on the broader region or a different west African nation. Here is where Nigeria is located in the world. This is where the tale of Anansi and the Turtle comes from. For younger kids take the opportunity to review the continents and oceans. Find the equator and decide what you think the weather is like in Nigeria. Look up the weather online to see if you are right. 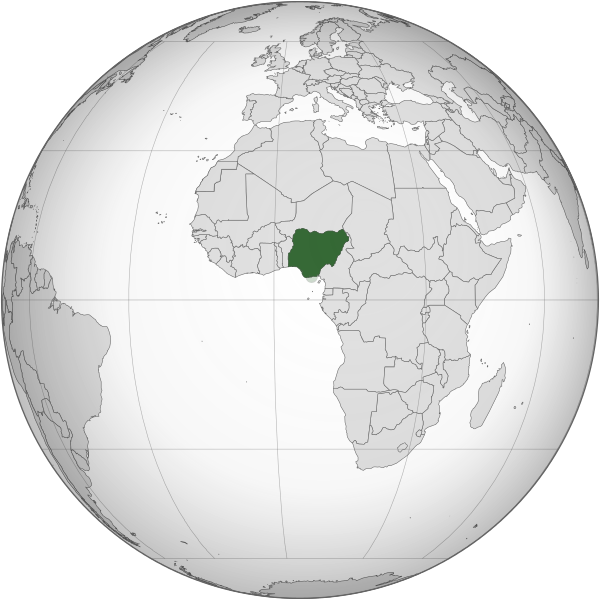 How far is Nigeria from your country? Image by Ukabia, CC license, Wikimedia. Then I told the kids the story, which you can find here. After you read the story ask the kids questions about it. Start with questions about character and plot to get them warmed up. Then go into questions about the messages of the story. Here are some ideas of things you might talk about, depending on the ages of your kids. What was the very first thing that happened in the story? Who was the host at the first dinner party? Was he a good host? Why? Who was the host at the second dinner party? Was he a good host? Why? Does it make a difference that Turtle came very hungry and tired to ask Anansi for help? What if he had just been greedy and wanted to take food from Anansi? Does the attitude and condition of Turtle at the first dinner party make any difference in how you perceive Anasi’s behavior? What was Anansi’s major fault in this story? Do you think this is a common human fault and why is it a problem? Were you glad that Turtle got back at Anansi and taught him a lesson? Why? Would you behave that way if someone treated you badly or tricked you? Why? Do you think Anasi learned because of what Turtle did? In African tales often cleverness is the most important trait for a character. The stories are often solved with the brain. What do you think this says about what the west African cultures value? What lesson is this tale trying to teach? Do you agree with the message? Why? You’ll need an egg carton, googly eyes, pipe cleaners, paint, glue, and scissors to make these spiders. Poke eight holes, around the rim of the egg cup, four on each side, using a sharp pencil or wooden skewer. Thread four pipe cleaners through the holes, so you end up with eight legs. Trim the pipe cleaners to the length you desire. Use egg cups again, but this time paint the egg cup green. Make four legs using pipe cleaners, poked through holes on the egg cup. Now have your kids re-tell the story, using their figures. If you want to get really involved you can have the kids create backgrounds for the story, a garden where Anansi lives, and a river where Turtle lives. There are hundreds of African folktales from many different cultures, look up others and tell those as well. Anansi figures in many Nigerian folktales. Color a map of Nigeria, putting in major landscape features and cities. 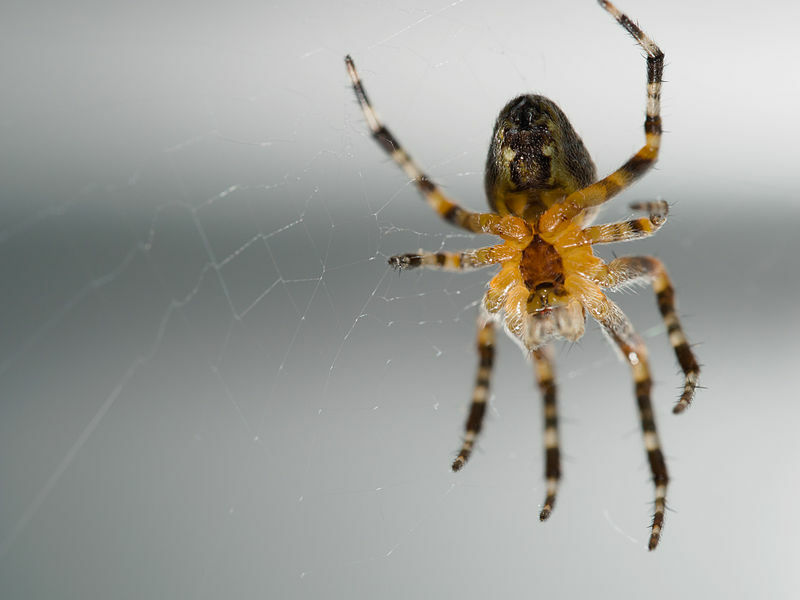 Learn more about spiders. Read some books from the library. Find some around your house or in your garden. Examine them and their webs. Learn more about turtles. Read books. Look up which types of turtles live in Nigeria. Which type do you think Turtle was? Act out a play of this story. Make simple costumes or use your craft spider and turtle to tell the story theatrically with parts assigned to different actors. Practice using emotion and expression. Practice memorizing lines, or do it as a readers theater. Write your own animal folk tale with a moral.